Georgeo is the best coloured jumping pony stallion standing at public stud in the UK. 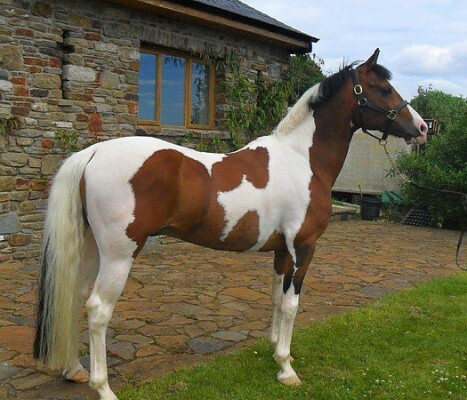 He is a beautifully and evenly marked skewbald,bred in Denmark from top class competition bloodlines. 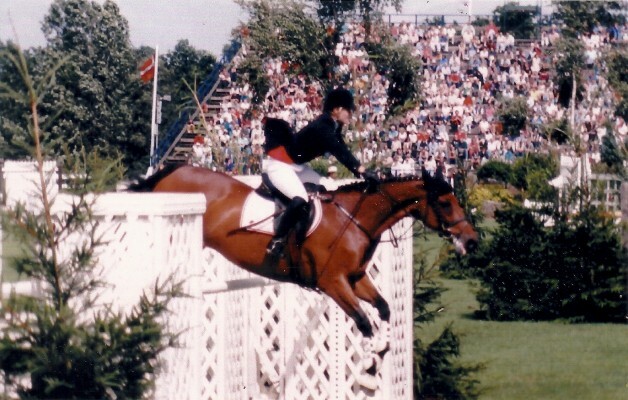 Georgeo started his show jumping career as a 5 year old, where he rapidly jumped up through the grades to be winning Foxhunters before he was 6 years old. He was ridden by Ellen Whitaker, the now leading lady rider in the UK. Together they jumped Internationally, representing GB in Europe, they qualified for HOYS Paul Fabs, by the end of 1998 Georgeo was JA and awarded Silver Disks with the BSJA, making him the No1 coloured show jumping pony in the UK.. Georgeo is a straight forward, snaffle mouth ride and a true child's pony. He has an amazing technique over a fence and will turn himself inside out to jump cleanly, he has three superb correct paces and good conformation.Georgeo is a quality choice as a sire of Sports Ponies for all disciplines, Georgeo was graded with CHAPS in 2002, he received 4/5 for temperament and manners and 8/10 for jumping technique. He was awarded Elite Status for Performance. Georgeo was also Approved with the AES in 2007 , he is also graded SPSS. .He has actively been used on all varieties of mares from 128cms ponies to 17hh mares that need refining . He produces quality athletic foals with superb natures and plenty of presence .